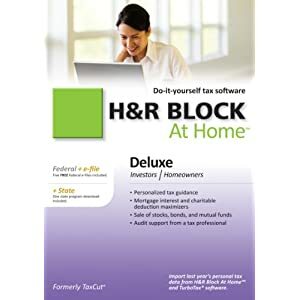 Pros: H&R Block At Home is a home-use version of the same software H&R Block tax professionals use to complete their client’s tax returns. Like TurboTax, H&R Block At Home easily imports data from previous tax returns, downloads employer data, and pre-populates forms to minimize repetetive work, as well as offers step-by-step tax rebate information. H&R Block guarantees their tax software with the same guarantee they offer for in-person tax preparation including free audit support – a feature that costs extra with TurboTax. Cons: Like TurboTax, H&R Block At Home provides free federal e-filing but does not offer free state e-filing unless you purchase an additional state package. Including the state e-filing package, H&R Block At Home is still cheaper then the equivalent version of TurboTax. 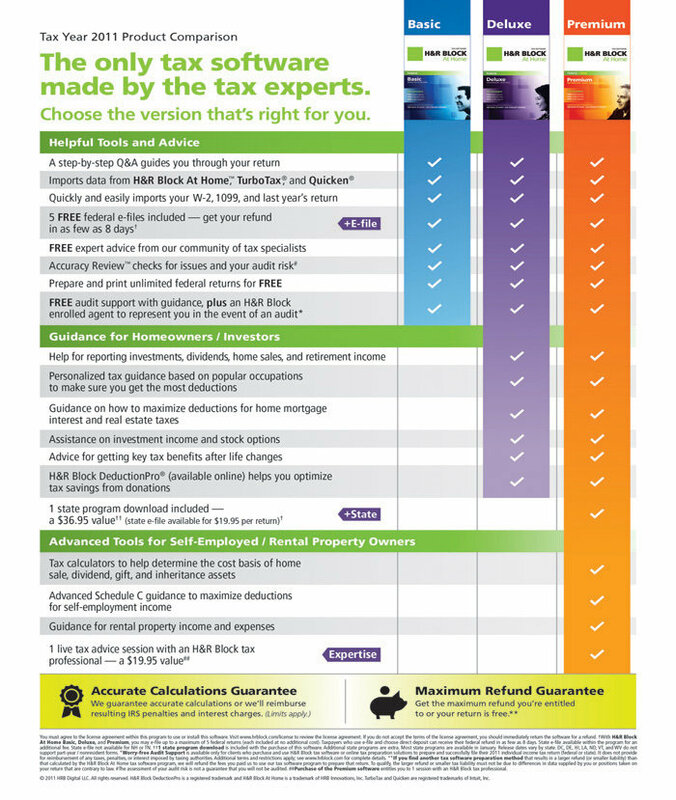 H&R Block At Home offers several versions of their tax software for taxpayers with investment, rental, or business income. Use this chart to compare the various versions of H&R Block At Home. H&R Block At Home comes with extraordinary value for a relatively low price compared to its main competitor, TurboTax. Audit protection, consultation with H&R Block tax specialists, and the ability to use one copy of the software to file up to five federal returns are all bonuses on top of the already robust set of features boasted by this software package. While TurboTax still has the majority market share, H&R Block at Home is competitively priced and provides all the features that can be expected of a premium income tax preparation software suite.